Imagine a place where everyone's favorite thing to do is blow stuff up . . . that's Boomtown. This is a humerous mystery and adventure story that kids (especially boys) will love to read! 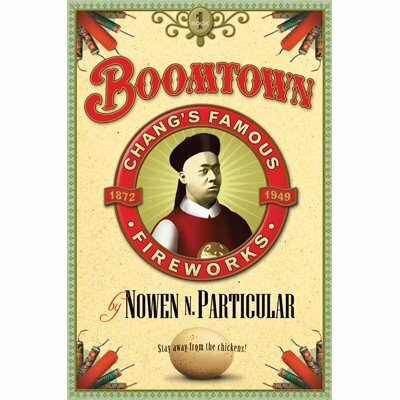 Boomtown is the home of Chang's Famous Fireworks factory, the Slush Olympics, the "Fighting Slugs" football team, rocket reindeer, and flying barber chairs. 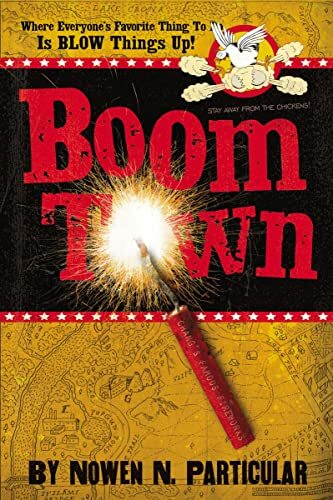 Boomtown is a humorous tall tale about a fictional town and its odd residents, written to capture the attention and inspire the imagination of intermediate readers. It's a fun read. However, underneath the humorous veneer, Boomtown asks and answers the question, "What does a healthy community look like?" The main characters struggle as they learn to trust their neighbors. Visit the Web site www.visitboomtown.com for more information on the book, author, free teacher guides, and more! But stay away from the chickens! Marty Longe (aka Nowen N Particular) graduated from Pacific Christian College in Fullerton, CA receiving a BA in Preaching and Church Growth. He is an ordained minister who has served as the senior preaching pastor of three different congregations as well as helped in the planting of four churches over the past 25 years. He has enjoyed a special affinity for children and youth, leading numerous programs for which he has produced and written most of the curriculum and marketing materials. As a married father of four children (three adult married children and a 14-year-old daughter living at home), he has written funny stories for his kids and raised each of them to be voracious readers.